Leora R. Piotryowski, 95, passed peacefully on Sunday, September 9, 2018 in Great Falls, MT. She was the daughter of the late Harry E. and Anna M. (Robinson) Sumy. In addition to her parents, she was preceded in death by her beloved husband, Henry J. Piotryowski. She was also preceded in death by five brothers and two sisters. 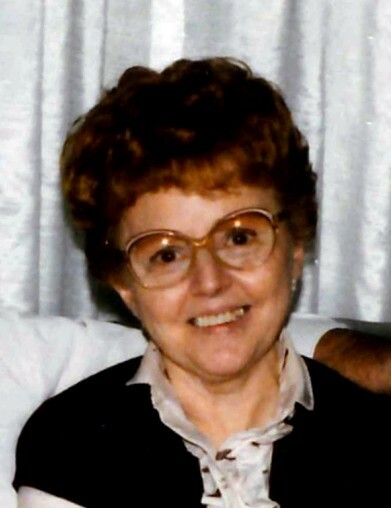 Leora is loved and survived by her three children, Patricia (Clement) Blazewick, Nancy Parsons and Christine (late John) Cooley; dear grandmother of Charles (Pamela) Pfeninger, Pamela Piterski, Amy (Michael) Anderson, Matthew Pfeninger, Gregory (Katie) Pfeninger and Loralee (Arthur) Kaczynski; 14 great-grandchildren and 1 great great-grandchild. She is survived by eight nieces and nephews. She will be remembered by her love and devotion she has shown for her family. A Memorial Mass of Christian burial will be celebrated at Holy Apostles Catholic Parish (St. Wendelin Church) 2428 Custer Avenue, Pittsburgh, on October 22, 2018. Interment to follow at St. Wendelin Cemetery.